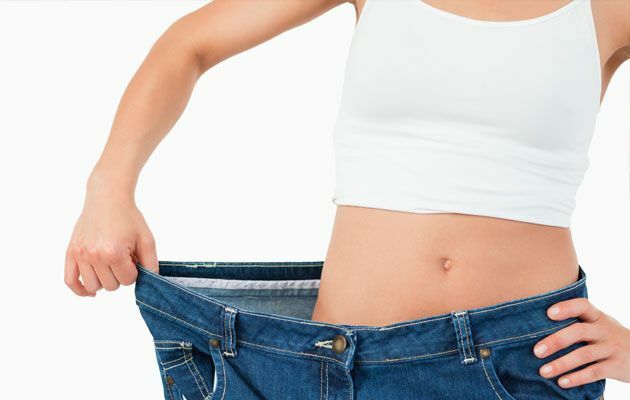 Does Fast Weight Loss Work? Healthy Weight Loss & Dieting Tips: While most doctors and nutritionists recommend against fast weight loss, there still are many people who are desperate enough to attempt it. If you are one of them, it is important that you go about it the right way, otherwise you could run the risk of jeopardising your health. Your objective should be to maximize weight loss on a slow and steady basis to make sure the weight stays off permanently. If you are trying to lose weight by reducing the amount of food you eat, it is better to limit your calorie intake slowly. Unfortunately, many people attempt to stop eating altogether in order to lose weight as fast as possible. You should not attempt this, apart from being dangerous for your health; starving yourself will result in regaining the lost pounds as soon as you start eating. To safely and effectively lose weight that stays off, it is better to gradually cut back on the amount of food you eat, try to eat a healthy balanced diet and make sure you cut out the junk and processed fatty foods altogether. By just cutting out the junk foods and sugary drinks you may find after a short time that the weight is coming off without you having to do much else. When you feel like snacks try substituting that chocolate bar or bag of chips for a piece of fruit. Take a healthy packed lunch to work instead of relying on the local take away food shop, that’s the hard to resist road to temptation in indulging your taste buds. To make your weight loss really effective it’s not enough just to diet you also need to factor in some form of exercise on a regular basis. Even if you aren’t an exercise junkie try and pick something you enjoy doing, such as cycling or swimming, even just a daily walk will help your waistline. You won’t see the results overnight but you will see them if you stick to your guns. If you haven’t exercised for a while don’t jump in and go all out you are likely to do yourself more harm than good this way. Build your exercise level up until you reach a point where you are comfortable yet feeling the benefits. Even starting with just a 15 min walk a day will have benefits. A common question from people trying to lose weight is: which is better exercise or dieting? The answer is a combination of both will be most effective in helping you reach your goals. By exercising you speed up your metabolism to burn calories, but you need to eat healthily to give you the energy to exercise. Before starting any weight loss diet or exercise program you should always consult with your own doctor first and check that what you are planning is right for you. Once you get the go ahead, set your mind to accepting that you can do this and how much better you will feel once you achieve your goals. It’s a good idea to set some goals and pin them up on your fridge or somewhere that you can see them every day. When you reach the milestones you’ve set, it makes it rewarding to continue.